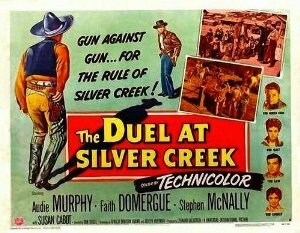 I'm excited to announce that my latest Western Roundup column was posted today at Classic Movie Hub! The topic of this month's piece is a subject dear to my heart: Universal Westerns. I discuss 13 of my favorites -- and I had enough titles which didn't make this list to fill a couple future columns! Thanks again to everyone who has taken the time to read and/or leave comments both here and at Classic Movie Hub. Previous Classic Movie Hub Western Roundup Column Links: June 2018; July 2018; August 2018; September 2018. Laura, another winning write-up over at CLASSIC MOVIE HUB. Posted the same over at the Hub. Showdown at Abilene was a bit of a letdown for me as I don't find Jock Mahoney particularly interesting. are all over the shop! felt the same according to a piece over at Toby's many moons ago. from fellow Universal contract player Mara Corday on imdb. Susan was talented,but my goodness,what a tragic life. Laura,you have really kicked this one out of the park...what can you do for a follow up? That isn't a put down of Susan Cabot, but an honest observation. We'll probably have to wait awhile to get all the welcome feedback your super piece is bound to engender, Laura, but I'm sure it will be worth the wait. Love reading these great pieces by you over at CMH. John, Felicia Farr is a good choice too. 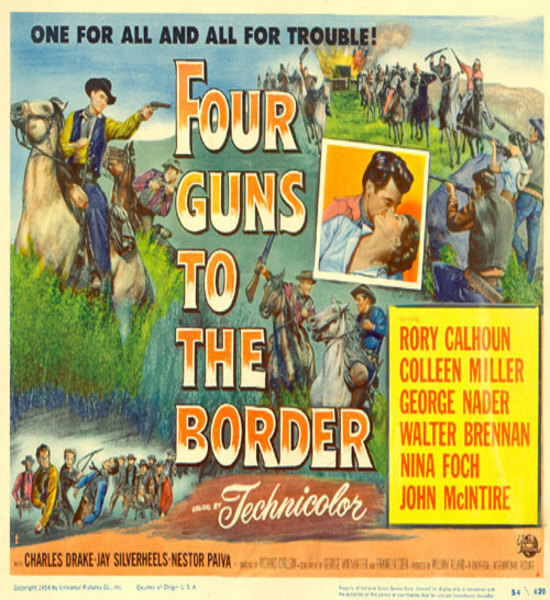 I just love Audie Murphy movies. We should take it all back - our comments are up on CMH already this time, folks. Don't miss 'em! photo of Audie and Felicia sharing a joke on set-it looks as if they got on really well. WALK THE PROUD LAND which also happened to be one of Audie's very best pictures. Thank you all so much for taking the time to read my piece over at CMH and then for taking the time to leave comments -- often both here and there! I deeply appreciate it and your feedback, and it's most gratifying to know the column was enjoyed. It makes the extra time invested in writing those pieces worth it!! Walter, thank you so much, I appreciate it! Margot, so glad I named some of your favorites! Interesting you don't care for Mahoney. Since I enjoyed him I'm hoping to see a couple more of his titles soon. Good to have the Felicia Farr recommendation. 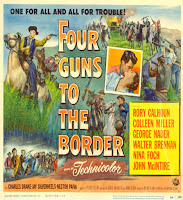 I've liked every Audie Murphy film I've seen -- I need to watch more of them! John, I haven't seen HELL BENT FOR LEATHER or WALK THE PROUD LAND yet! I'm taking notes on titles! I've seen part of CHIEF CRAZY HORSE but not watched it all the way through. Jerry, I'm happy the comments went through at CMH quickly! The ladies have a big job to do over there on top of "real" jobs so sometimes we have to wait a little, but it's worth it! :) I really appreciate your encouragement.